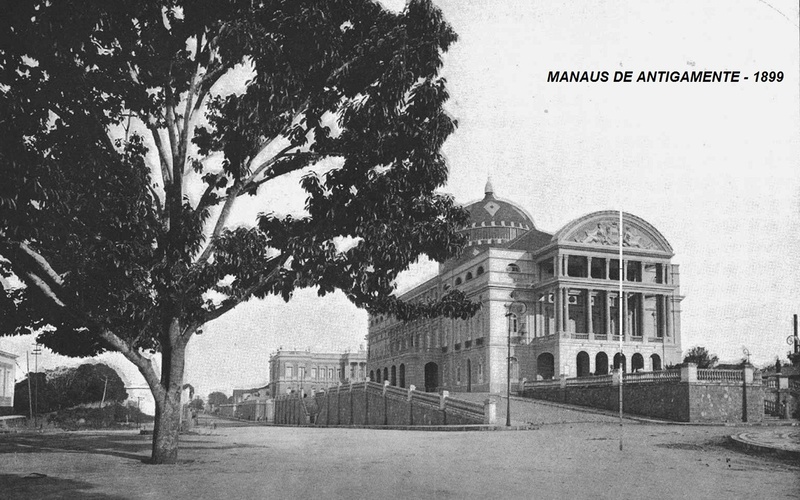 The first concrete idea of ​​building a Theater in Manaus came in 1881. Deputy Antonio José Fernandes presents a bill arguing that "the city did not have its own building for theatrical performances, whose distraction is incontestably useful and very competes for the Civilization of our society "and" that the province is in a position to meet this need, which also contributes to the beautification of the city. " In June of 1881 the Law was sanctioned authorizing the construction of a theater of masonry and acquisition of the land; In May 1882 are called the competitors to present the project of architecture and budget, initially set at 250 contos de réis. The foundation stone of the Theater was only launched in 1884. 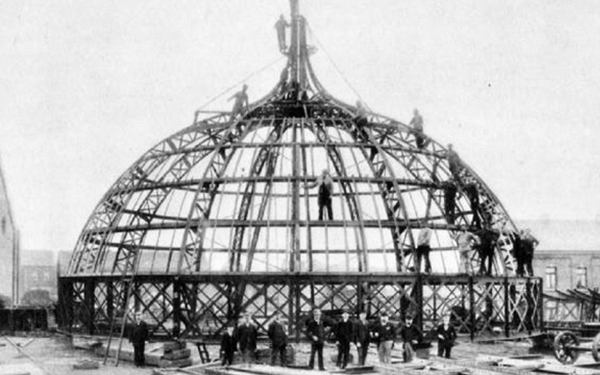 The works were paralyzed from 1886 to 1893, when they were taken over by Governor Eduardo Ribeiro who, despite the effort, did not even inaugurate it. 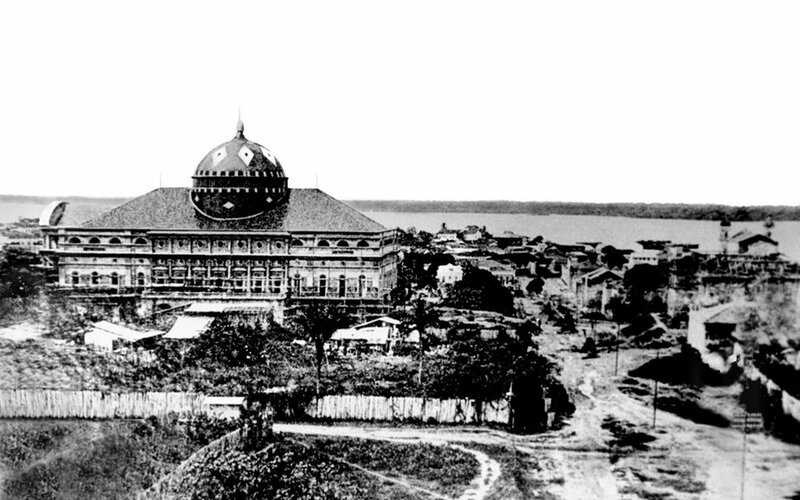 After many political, administrative and technical obstacles, the Amazonas Theater was finally inaugurated on December 31, 1896, although not yet fully completed the construction and decoration. 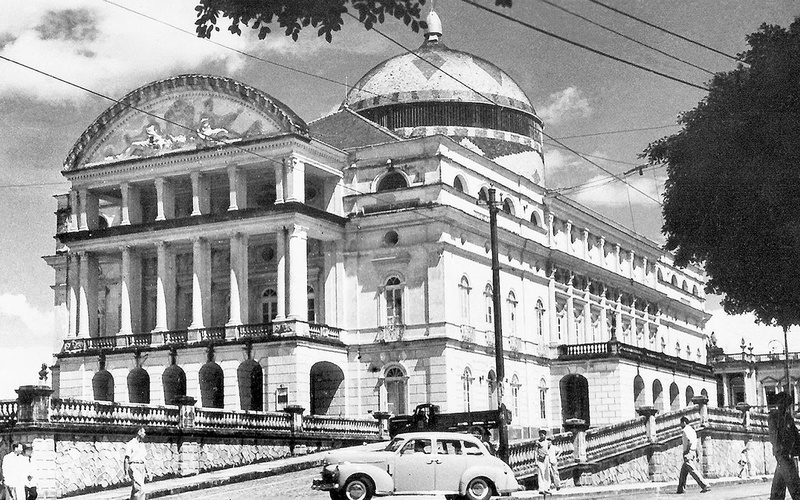 The construction of the Teatro Amazonas at the end of the 19th century was only possible thanks to the period known in Brazilian socio-economic history as the Rubber Cycle. Only the privileged economic situation of the Province of Amazonas, at the time propitiated by the export of rubber, would make possible the implantation in the city of projects so audacious, of which the Theater is the most expressive example. Also contributed the vision of the governor Eduardo Ribeiro, that gave impulse to the new urbanistic feature of Manaus. 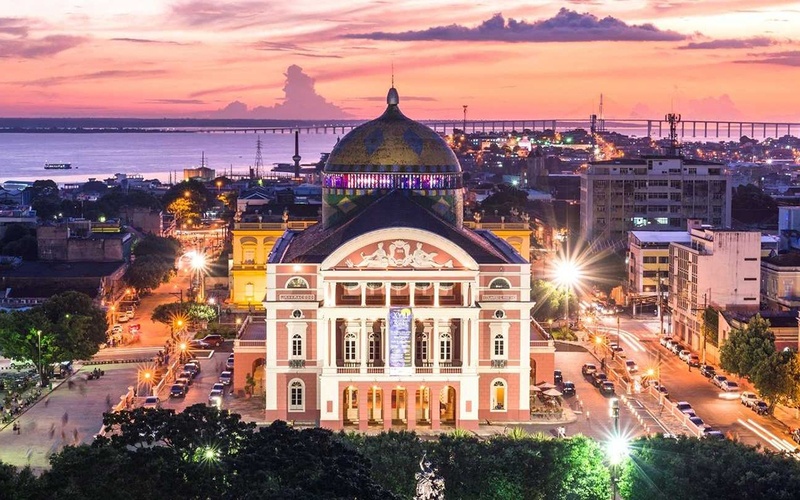 Since its opening in 1896, the Amazonas Theater has seen every kind of spectacle: operas, operettas, musicals, plays, shows of lyrical and popular singers, festivals, dance groups, music bands, Choirs, orchestras and so many others. But besides house of spectacles, it is a place of fundamental references for the city. In it the theater function goes hand in hand with the function of place of memory, cultural heritage and museum. 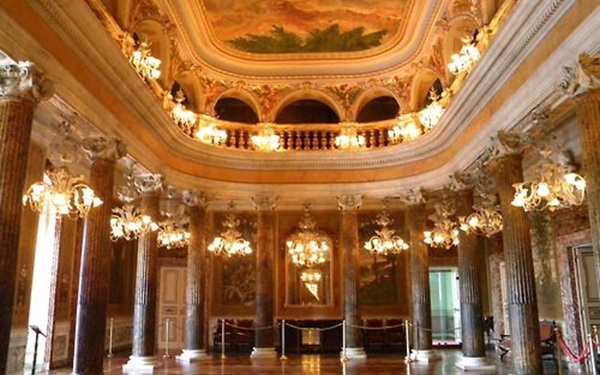 Strictly, the entire Teatro Amazonas is a museum. 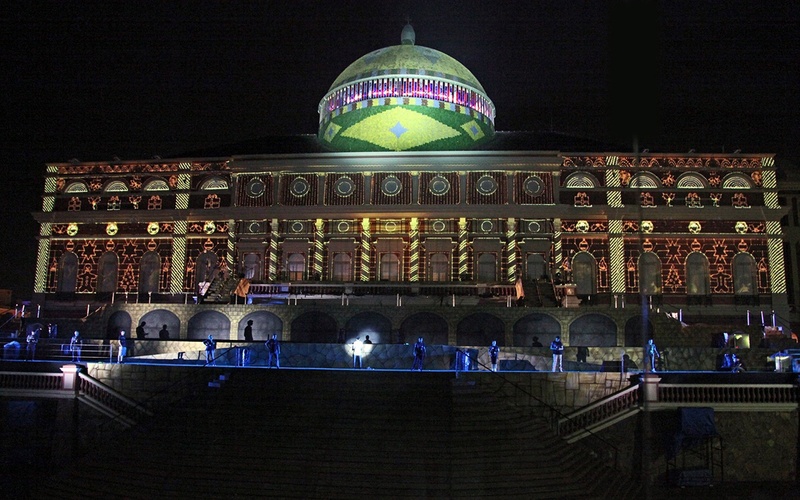 This is a special space reserved for the memory of the city of Manaus. Its route takes place along the Theater itself and the rooms of the first and third floors, where the story, told through the Museum, is integrated and is completed by the physical and monumental presence Of the Theater. 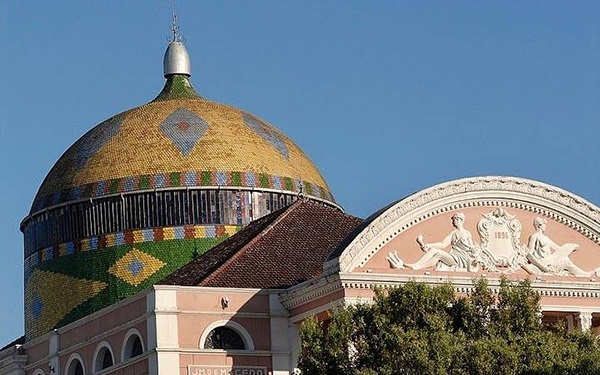 CollectionThe Museu do Teatro Amazonas has a valuable collection of objects that evokes the various phases of its history, from its construction to the present day. Part of it can be seen along the course of visitation, another part is in Technical Reserve and is intended for studies and occasional temporary exhibitions. The variety of artists is also great, ranging from the local to the international, having already passed through the stages of the Theater established early artists such as the composer Heitor Villa-Lobos, who appeared in 1911, or in the end, as The dancer Margot Fonteyn. We also cite the presentation of tenor José Carreras, in 1996, in the celebrations of the centenary of the Theater. 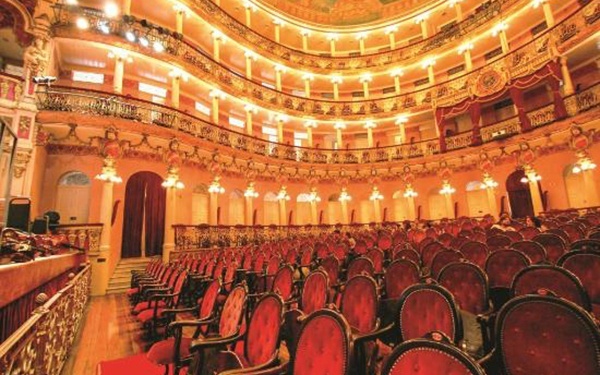 Curiously, tenor Luciano Pavarotti sang on the stage of the Teatro Amazonas, but only for those who accompanied him on a tourist visit to the Amazon. He wanted to experience acoustics. 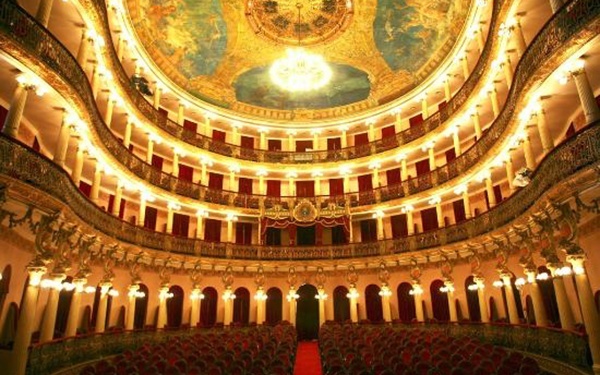 Since 1997 the Teatro Amazonas has returned to present great spectacles, standing out the Festival Amazonas de Ópera. In addition to it, several others were produced during the first decade of the new millennium and the Theater is a privileged stage of these manifestations: Amazonas Jazz Festival, Amazonas Dance Festival, Amazonas Music Festival, Amazonas Theater Festival and Amazonas Film Festival. 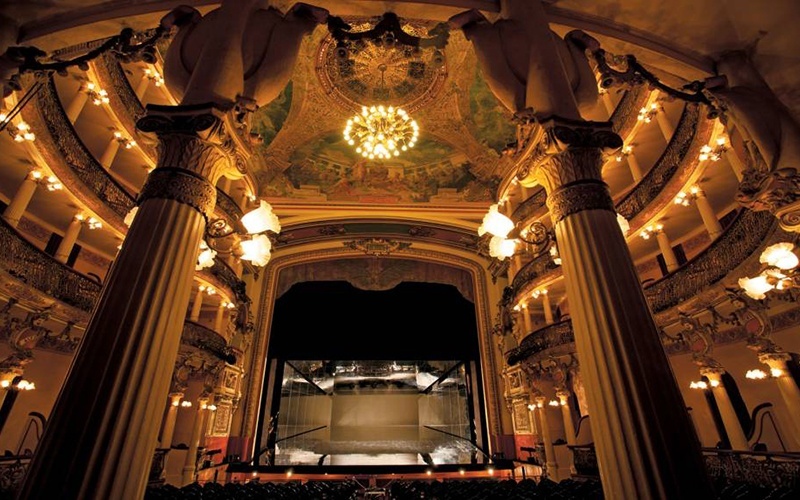 The Amazonas Theater has always emphasized local productions, including those programmed by the State Culture Secretariat as the Guaraná Series, with performances by the Amazonas Philharmonic Orchestra and Mondays on the Stage, with local artists, where the difference was the public and the Artist accommodated on stage, in a new perspective for both. 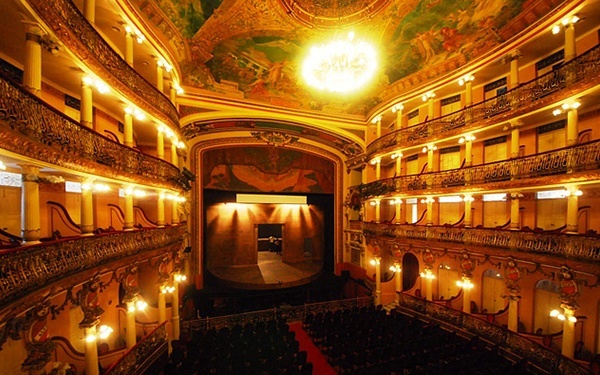 A stage of artistic manifestations, the Theater also serves as a setting for several events that take place in its surroundings and has been used many times as a film scene, such as Fitzcaraldo, A Selva and TV Globo's miniseries, Amazônia. Unfortunately, it should be mentioned that the Theater also housed a rubber deposit of an American company during World War II and, in its various phases of abandonment, has already served as a stage for football matches, private parties, presentations Fiasco, high school graduation and many other manifestations that do not fit their function and monumentality. Tuesday to Saturday from 9 a.m. to 2 p.m.